Dusty, a young man from North America, became the winner of this charity sweepstake. 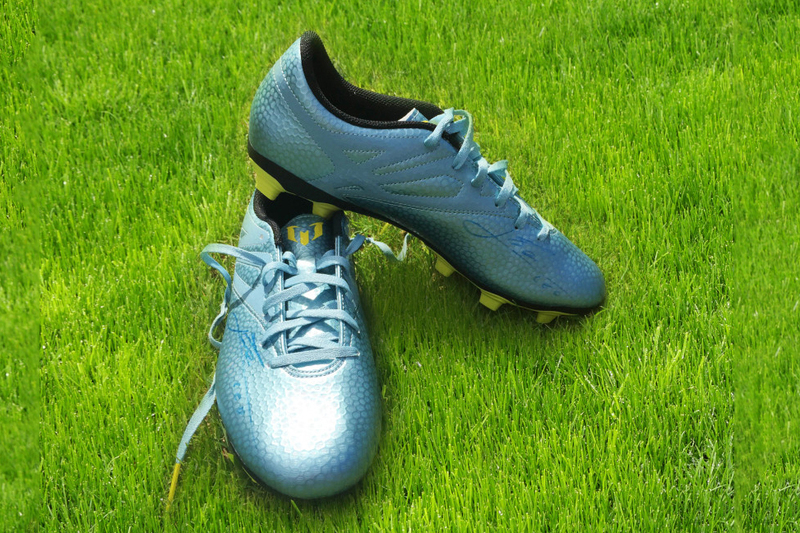 He won a very special pair of boots, as these were the same model with which the football star played the final of the UEFA Champions League 2015 in Berlin. In addition, the boots were accompanied by a certificate of authenticity. Time has passed; we remember this sweepstake with a smile from ear to ear, since it took us several days to locate Dusty. We were dying to tell him that he just had won Messi's boots, so after several e-mails and some Facebook messages, Dusty wrote to us saying: Hello, I'm Dusty, the winner of Messi's boots! After the news, we took a deep breath and got to work with the shipment. He confessed that he was very happy, but he never imagined that he could become the winner and take home the boots of Leo Messi, his idol. However, that’s the way it went... pure randomness and pure luck. At this point, as we know how curious you are many of you (as well as the entire BidAway team) you will be wondering what Dusty did with Messi's boots. Ready? Messi's boots are in a glass case that has become one of Dusty’s greatest trophies. Messi will autograph his football boots for you!